VMware Validated Designs 5.0 – What’s New? VMware Validated Designs is a complete set of prescriptive blueprints on how to deploy a VMware based Software-Defined Datacenter (SDDC). It includes Planning & Preparation guidance, detailed Architecture & Design documentation, design decisions – including justifications & implications for each decision – deployment guidance, upgrade guidance and now automated deployment. All of which is created by a team of VMware architects working behind the scenes with every VMware business unit…all with a view to ensuring that deploying the VMware SDDC is consistent & effortless for customers and partners. This is by far the biggest addition to this VMware Validated Designs release. 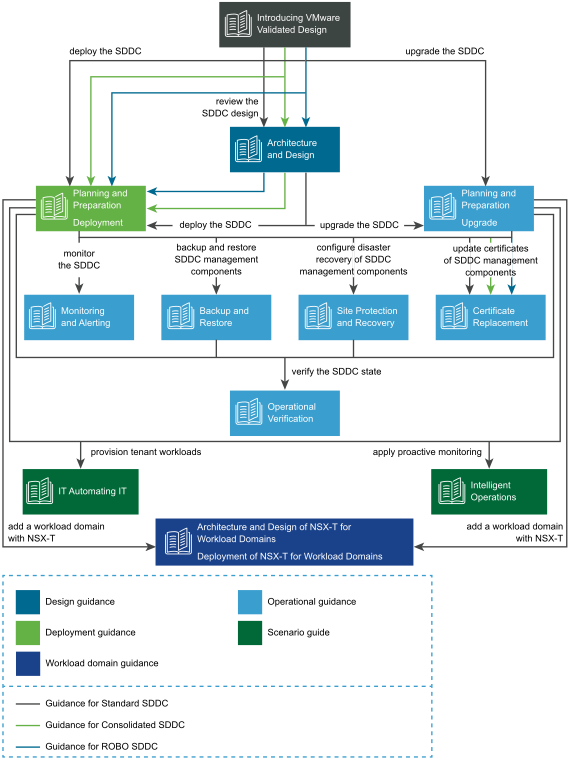 Fully automated deployment of a single or dual region VMware Validated Design. The deployment guides are reduced to about 80 pages (from over 300) of mainly environment staging and Cloud Builder does the rest. This is available as a free download so go get it, deploy it, and provide feedback! Shout out to @GaryJBlake & the team for their work getting this over the line! Support for for Microsoft SQL Server 2017 for the external database of vRealize Automation. Support for Ubuntu Server 18.04 for the virtual machines of vSphere Update Manager Download Service. ‹ PreviousBeware VLAN double tagging!